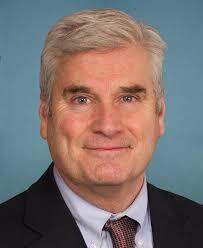 You are currently browsing the archives for the Tom Emmer category. I wish I could say I was surprised by David Fitzsimmons’ campaign finance reporting tactics. Unfortunately, I’m anything but surprised. 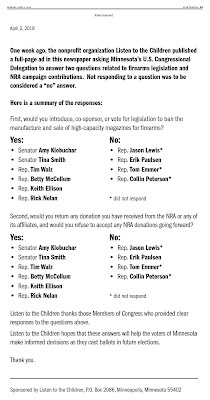 While some might criticize John Kern’s LTE highlighting the Emmer campaign’s tactics, I won’t follow suit. This isn’t that dissimilar to how big corporations use a plethora of regulations against small business competitors to reduce competition as much as possible. That’s the predictable outcome of these FEC complaints. 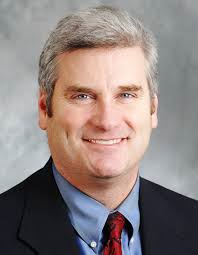 Rep. Emmer knew he was underperforming at the time. According to Minnesota’s Secretary of State’s website, Emmer, the incumbent, won the primary with a pathetic 68% of the vote. That’s pathetic considering the fact that Emmer “out-fundraised AJ Kern’s 2016 campaign” by a 61-1 margin. Charges and litigation are used to harass opposing candidates and make political hay with the press… used most effectively by ‘incumbents’. Many, if not most, of these cases end up being dismissed, but not without distracting the campaigns and using up their resources. …The problem in campaign finance is that unethical politicians are threatening private actors, rather than that unethical special interests are threatening government. When John McCain and Russ Feingold wrote the Bipartisan Campaign Reform Act, aka McCain-Feingold, grassroots activists criticized it by nicknaming it the ‘Incumbents’ Protection Act’. That’s exactly right. BCRA didn’t eliminate corruption. It codified corruption by burying challengers under mountains of paperwork. That’s what its intent was. While career politicians might want to fight the hordes of uppity peasants insisting on being heard, those career politicians won’t silence the activists’ voices. Emmer can take that to the bank. It isn’t that Electrolux employees don’t have questions. It’s that those questions are best answered by the people who deal with this every day. (Unfortunately, Minnesota is getting too good at this.) What’s stunning is that the meeting is closed to the public. What’s being told to these workers that can’t be discussed in public? Robert Ady was a longtime executive of Deloitte & Touche/Fantus Consulting, a leading site location firm. He is said to have assisted more site locations than any living person. He concludes that it is the quality of the work force, not low wages, that is decisive in the site location decision: “The single most important factor in site selection today is the quality of the available work force. Companies locate and expand in communities that can demonstrate that the indigenous work force has the necessary skills required by the company or that have the training facilities to develop those skills for the company.” (Ady, 1997, p. 81). The truth is that many of the workers didn’t have the required skills. That required Electrolux to hire extra workers, which drove up labor costs. Tina Smith’s empathy is situational. She hasn’t lifted a finger to help create mining jobs at Twin Metals or PolyMet but she’s willing to secretly meet with employees in St. Cloud. What a farce. Monday night, Councilman George Hontos made a motion to spend time during the City Council’s study session talking about the economic impact refugee resettlement has had and will have on St. Cloud. Hontos, Jeff Johnson and Dave Masters voted in favor of the motion. Jeff Goerger, Steve Laraway, City Council President Carol Lewis and John Libert voted against Hontos’ motion. That’s what I’d call the Carol Lewis pass-the-buck-shuffle. First, Lewis insists that the reader can’t possibly know what the law means. Next, Lewis insists that the federal government has the ability to restrict comments on the program, essentially limiting public commentary. That’s backwards thinking. Since when do citizens have to ask the federal government’s permission to give their opinion on federal programs that hit local taxpayers’ wallets? Notice that in (C)(ii), it says that the Director “shall provide for a mechanism whereby representatives of local affiliates” of NPOs “meet with representatives of state and local governments to plan and coordinate in advance of [the refugees’] arrival the appropriate placement of refugees among the various States and localities;” That sounds like local governments have a pretty substantial role to play in this process. Finally, let’s highlight that Ms. Lewis says people should contact Congressman Emmer on these issues whereas the statute says that the federal government should work with local governments in a collaborative effort. It’s clear that the city council hasn’t lived up to its responsibilities. Let’s hope voters remember that the next time the 4 no votes are up for re-election. Raul Castro’s oppression feels like Fidel Castro’s oppression. For all of Rep. Emmer’s talk about human rights, nothing has changed. I am extremely disappointed with President Trump’s announcement he is going to ‘roll back’ the progress made in improving our relationship with Cuba. Through today’s actions, his Administration claims that he is honoring a campaign promise and fighting for the Cuban people. Yet, by returning to the failed policy of the past 55 years, the Administration moves no closer to helping improve the human rights situation in Cuba and stands to violate the President’s number one campaign promise and constitutional responsibility- to keep the American people and our homeland safe. With today’s directive, the Administration is limiting our opportunities to improve the human rights and religious liberties of the Cuban people, not expanding them. This policy decision will hurt the United States economically, making it harder for our nation’s farmers to access new markets and cutting the knees out from under our travel and manufacturing industries. Perhaps most importantly, today’s announcement creates a very real security risk for the American people and our homeland by inviting foreign nations into our backyard to fill a void that today’s announcement is creating. Today is not the end of this discussion; it is yet another chapter in a long and complex history between the United States and Cuba. My colleagues and I will continue to advocate for human rights and religious freedoms, a more secure hemisphere, and new economic opportunities for American farmers and businesses by improving our relationship with Cuba, not retreating. The voices of our policy makers must represent the voices of the overwhelming majority of Americans who favor improving our relationship with Cuba. I hope as we go forward, the President will remember he was elected to challenge the status quo – not to be part of it. We will be on the right side of history and lift this failed embargo. I wouldn’t bet on congress lifting President Trump’s sanctions. That requires a two-thirds majority in the House and a two-thirds majority in the Senate. The odds of that happening are less than slim. 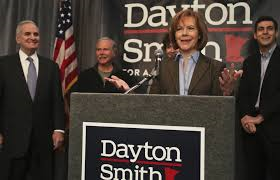 In 2010, I supported Tom Emmer’s campaign against Mark Dayton for governor. Had Emmer won that election, I’m convinced that Minnesota would be far better off than it is today. Back then, Tom Emmer was a staunch conservative. 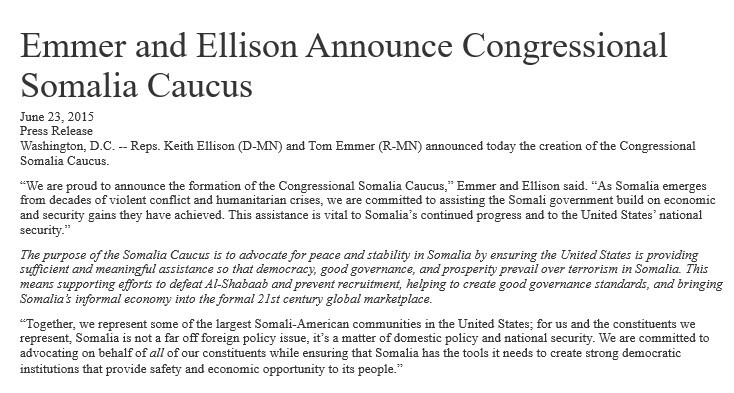 Unfortunately, Tom Emmer isn’t the full-time conservative today that he was then. 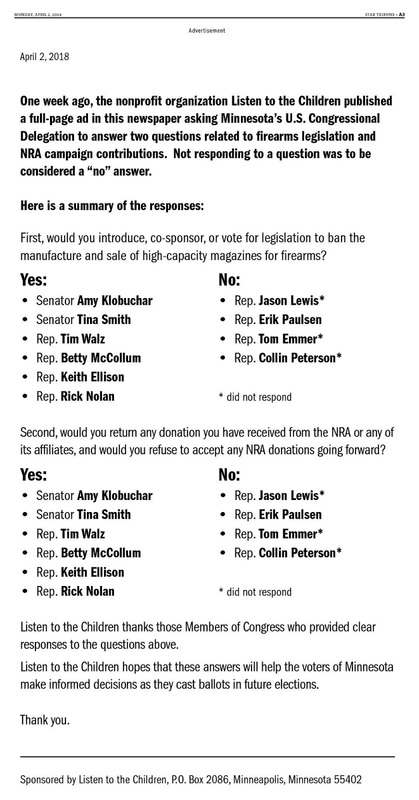 A quick look at Emmer’s issues page on national security shows that he isn’t listening to his constituents. 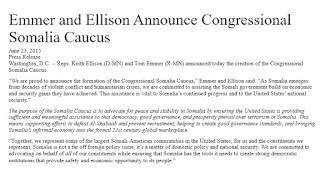 Emmer started wrong by teaming with Keith Ellison to form the Somalia Caucus. It went downhill fast after that. During a July 1, 2015 townhall meeting, Emmer laid the foundation for this primary fight by blowing off constituents who wanted a moratorium on Syrian refugees being resettled in St. Cloud, saying that he’d checked with the State Department and that there weren’t any refugees coming to St. Cloud. Clearly, Emmer was either badly misinformed or dishonest. The reason why AJ Kern got 26.5% of the vote in this primary is because she fought for US national security. Emmer hasn’t. Here’s hoping that Rep. Emmer’s last day in Congress is January 3, 2019. Central Minnesota doesn’t need a squish who collaborates with Keith Ellison representing the Sixth District. Senator Franken supports President Obama’s plan to bring our role in the Iraq war to a responsible end. He supports the President’s timetable, which led to the withdrawal of all combat troops from Iraq in August of last year. Senator Franken believes that when President George W. Bush started the war in Iraq, he lost focus on Afghanistan, the real base that Al Qaeda terrorists used to attack us. Because of this, the United States was drawn into a long and costly war, based on misinformation, that didn’t serve our nation’s interests. Our courageous military finally started turning things around in 2007 with a new aggressive counterinsurgency strategy. In 2008, President Bush joined then-Senator Obama’s proposal for setting a timetable for withdrawing our forces, which improved our political leverage with the Iraqi government. With the end of the U.S. combat mission on August 31, 2010 Senator Franken believes that America’s main job now to make sure that those who return get what they need, and that it’s now the job of the Iraqi people to build a functioning society for themselves. Several other members of Minnesota’s delegation were noncommittal. A spokeswoman for DFL U.S. Rep. Collin Peterson said Netanyahu’s speech is on the schedule but it hasn’t been confirmed whether he’ll attend the event. A spokesman for Sen. Al Franken said he didn’t have an answer on whether Franken is going. It’s virtually irrelevant whether Sen. Franken attends the speech. It isn’t like he’ll have original thoughts on the subject. If the Democrats’ leadership wants Sen. Franken offering his opinion, they’ll tell him what it is. It isn’t like he’s paid attention to national security issues thus far. It’s been such a low priority for Sen. Franken that he hasn’t updated his Iraq webpage since 2010. ISIL has taken over Fallujah, Mosul, Ramadi and about one-third of Iraq. AQAP (al-Qa’ida of the Arabian Peninsula) has taken over the US embassy in Sana’a, Yemen. ISIL controls half of Syria. In addition to that, ISIL has expanded into Egypt and Libya. These are major existential threats to Israel, our most trusted ally in the region. Sen. Franken’s response to these proliferating crises has been nonexistent.